Dolphins are some of the most intelligent animals. They are fast and travel the world over. 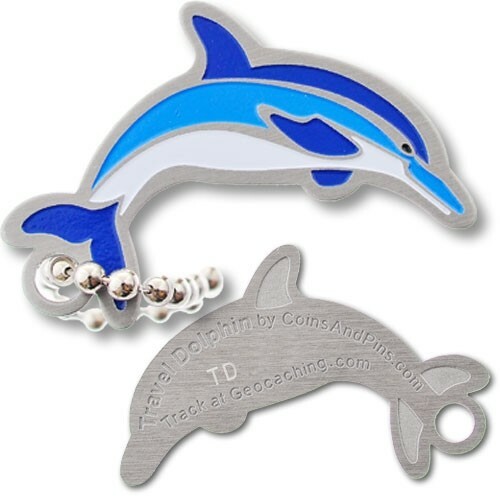 Like dolphins, this geocoin is meant to travel around the world. This tag is an inexpensive alternative to a geocoin. This tag is trackable and has its own icon. This is lightweight and will fit in most caches. Measures 44mm long and can fit in 35mm geocache containers.